See the world through rosé-coloured glasses with this this, the latest cocktail recipe book in the phenomenally successful MADE ME DO IT series. Rosé has become the drink of choice for many, and sales are booming – thanks in no small part to its Instagram-able pink hue as wells as its sweet and refreshing taste. Rosé wine makes an ideal base for cocktails. It blends perfectly with the bitter notes of Campari for a delicious twist on the Negroni, and is equally at home with sweet crème de cassis for a Kir Blush. This beautifully illustrated book shows off the versatility of this popular wine to create a host of sophisticated and easy-to-drink cocktails. In Rosé Made Me Do It, writer, mixologist and cocktail consultant Colleen Graham explains everything you need to know: how to choose the right type of wine, which spirits and mixers blend well and how to create crisp cocktails for every occasion. Featuring 60 wine cocktails and punches from around the world – including everything from sangrias to spritzes and bellinis to martinis, and the icey genius of Frosé (frozen rosé) – this book invites you to drink pink. Rosé all day – yes way! 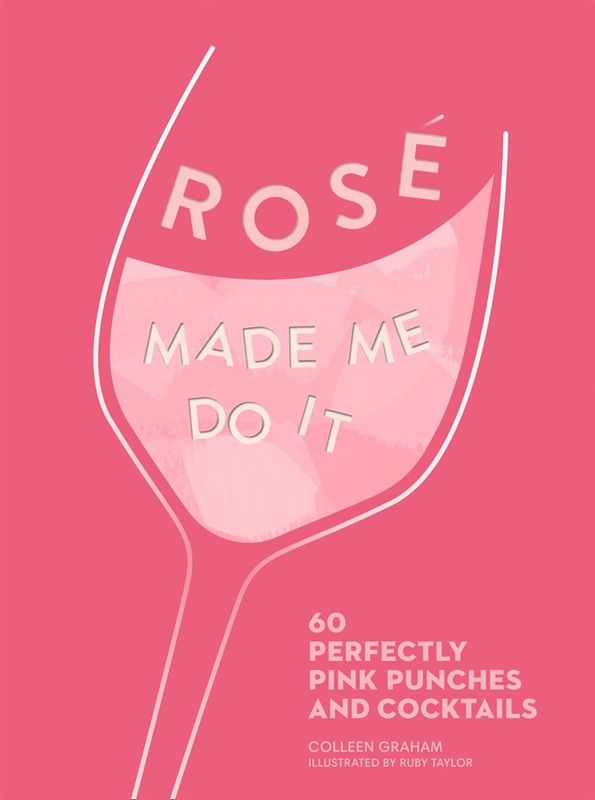 Acquista ROSÉ MADE ME DO IT: 60 perfectly pink punches and cocktails in Epub: dopo aver letto l’ebook ROSÉ MADE ME DO IT: 60 perfectly pink punches and cocktails di Colleen Graham ti invitiamo a lasciarci una Recensione qui sotto: sarà utile agli utenti che non abbiano ancora letto questo libro e che vogliano avere delle opinioni altrui. L’opinione su di un libro è molto soggettiva e per questo leggere eventuali recensioni negative non ci dovrà frenare dall’acquisto, anzi dovrà spingerci ad acquistare il libro in fretta per poter dire la nostra ed eventualmente smentire quanto commentato da altri, contribuendo ad arricchire più possibile i commenti e dare sempre più spunti di confronto al pubblico online.